Can it become a viable public alternative to the BBC? Channel 4 will face a major upheaval if Ofcom's public service broadcasting (PSB) recommendations are used by the government. The channel would be expected to become a "strong, alternative public service voice to the BBC". This is currently something that Channel 4 is struggling to do, but Ofcom believes that a one-off payment from the money set aside to fund the digital switchover will allow the channel to make the necessary changes. The injection of cash that Ofcom recommends would be to "form partnerships, joint ventures or even mergers". There are two fairly obvious ways for this to happen: both of which have been widely discussed for months and are repeated by Ofcom. "One option would be for Channel 4 to form a new relationship with BBC Worldwide, the BBC's commercial arm. Another option could be for Channel 4 to merge with a commercial organisation, such as Five. Any partnership would need to maintain and strengthen delivery of the public purposes." A merger with Five: Five is currently the fourth major terrestrial broadcaster, but the current television and financial climate is squeezing its profitability. That means a merger with Channel 4 makes a degree of sense, despite the Channel 4's Chief Executive, Andy Duncan, describing the idea as like mixing "oil and water". Long-term recommendations for Five include reducing its PSB commitments, but the greater focus would be on Channel 4's ability to provide an alternative to the BBC. Buying a stake in BBC Worldwide: BBC Worldwide is a highly-profitable arm of the BBC that deals with both DVD sales and the sale of programme rights (such as Strictly Come Dancing) to foreign broadcasters. This would make a partnership with Channel 4 an obvious solution to the ailing channel's financial problem, but the BBC is unlikely to be in favour of such a move. "The quota for out-of London production on Channel 4 will be set at 35 per cent from 2010, within which a quota of 3 per cent will be set for production from Scotland, Wales and Northern Ireland combined," says Ofcom. "We plan to review - and consider increasing - these quotas once the future of Channel 4 is clearer, in response to the issues set out in our statement on the longer-term options." Ofcom clearly sets out its intent for Channel 4: "Create a strong, alternative public service voice to the BBC, with Channel 4 at the heart, preferably though partnerships, joint ventures or even mergers. A new remit, governance and accountability will be essential." 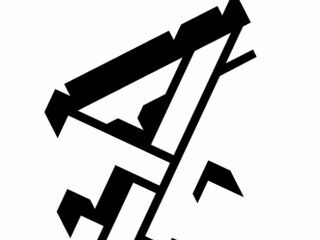 "A new organisation, with public purposes at its heart, should be established; Channel 4 is well-placed to be central to this. It would have a new remit to deliver news, current affairs, programmes for older children, programmes made outside London and a full range of digital media content. "This could be created by forming partnerships, joint ventures or mergers between Channel 4 and other organisations. These could generate new value through cost savings, synergies and new opportunities for growth. "Partnerships should complement market provision and ensure economic sustainability, accountability, choice and competition. New governance and accountability arrangements would be essential."